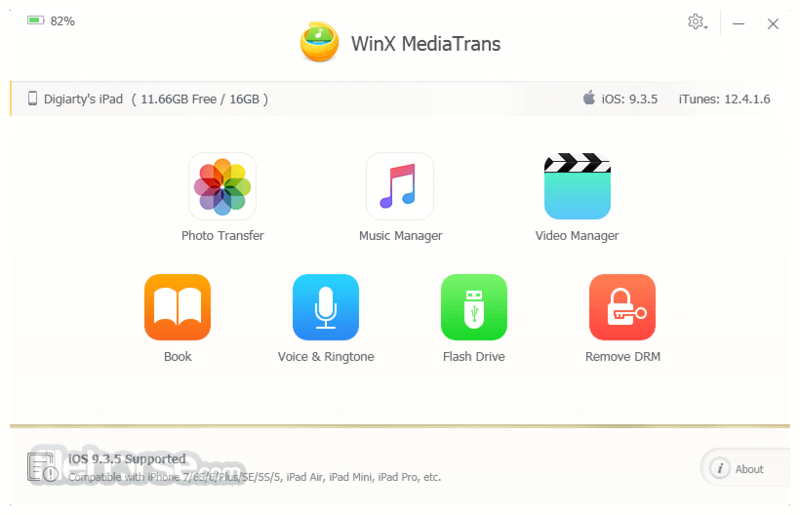 WinX MediaTrans is the Easiest Way to Transfer Photos, Videos and Music between iPhone iPad and Computer. Record 4K video & photo? Your iPhone may no longer hold any 4K recordings. The ultra high resolution clarity comes at a high price as it is subject to storage: each 10 minutes of 4K video taken at 30 fps will take up about 3.75 GB of storage. 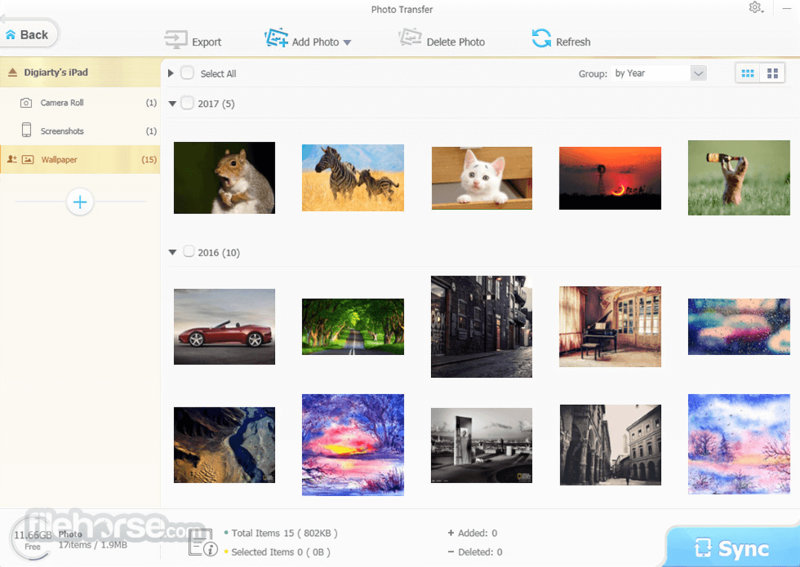 To save space, WinX MediaTrans will backup any photos, movies and music (even purchases from the iTunes Store) for you. It can manage ringtones, e-books, Voice Memos, iTunes U, Podcast with the bonus support for iOS 10 and the iPhone 7 (Plus). Look below and rethink what your iPhone can do. Life's good when you listen to music. 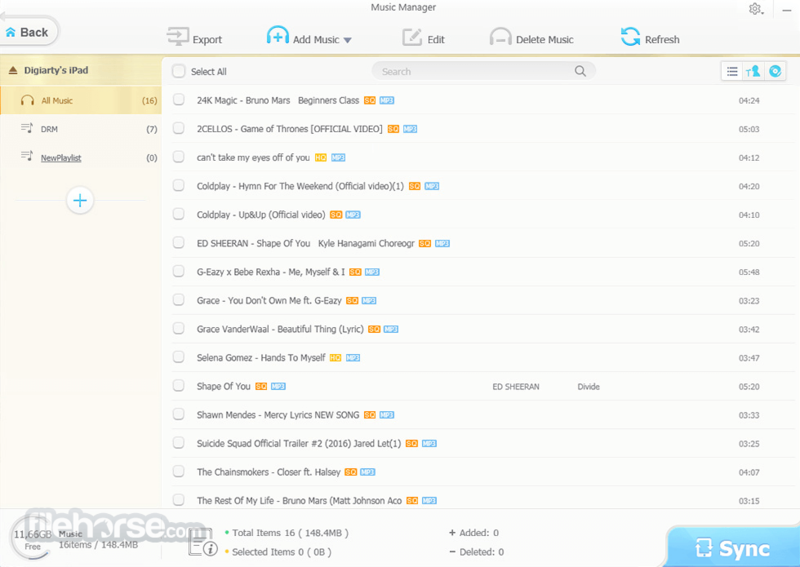 WinX MediaTrans lets you sort out songs and create playlists in every way possible, easier than ever before. For running, or sleeping. Forever change the way you transfer and manage music files with iTunes. WinX MediaTrans provides two-way backup to import & export music and ringtones between iPhone iPad iPod and PC, much easier than iTunes. Edit and correct player and album names & info in batch mode. Add/export/make iPhone ringtones; transfer Voice Memos; auto convert music to AAC or MP3. Note: Requires iTunes and iOS device. Limited functionality in demo version.